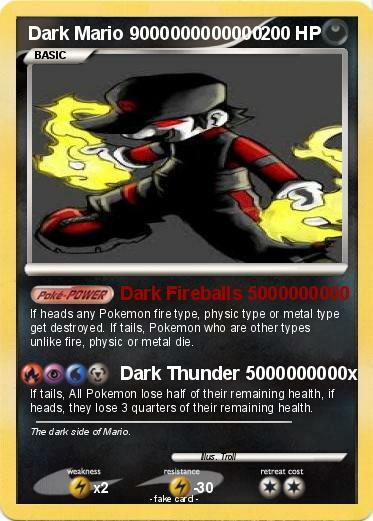 If heads any Pokemon fire type, physic type or metal type get destroyed. If tails, Pokemon who are other types unlike fire, physic or metal die. If tails, All Pokemon lose half of their remaining health, if heads, they lose 3 quarters of their remaining health. Comments : The dark side of Mario.